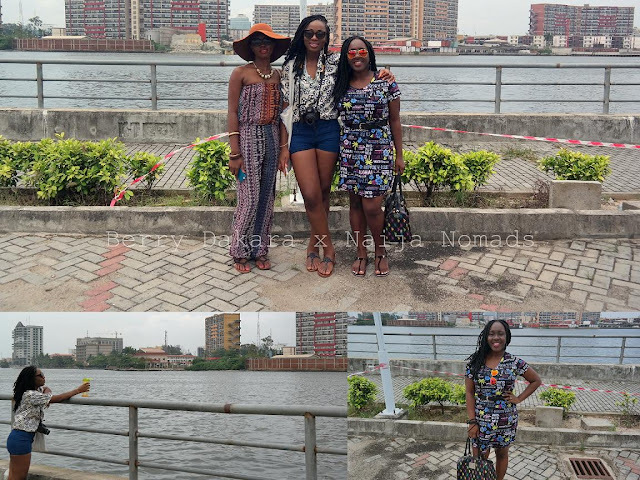 NAIJANOMADS: On Saturday, we got to the jetty and waited for the boat to arrive (we waited for 1.5 hours – miscommunication issues). 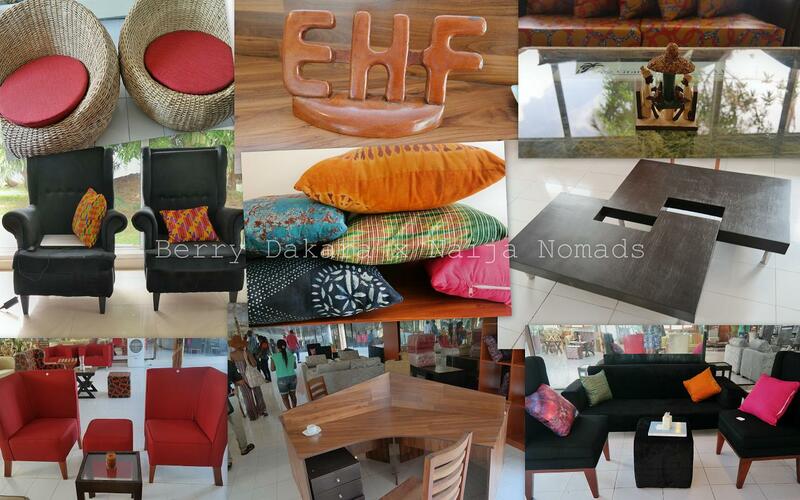 BERRY DAKARA: That wait was no joke!!! Plus the random dog in the parking lot that almost made me jump into the Lagoon. Thankfully the parking attendant tethered the dog, and us girls got to know each other better and take selfies! 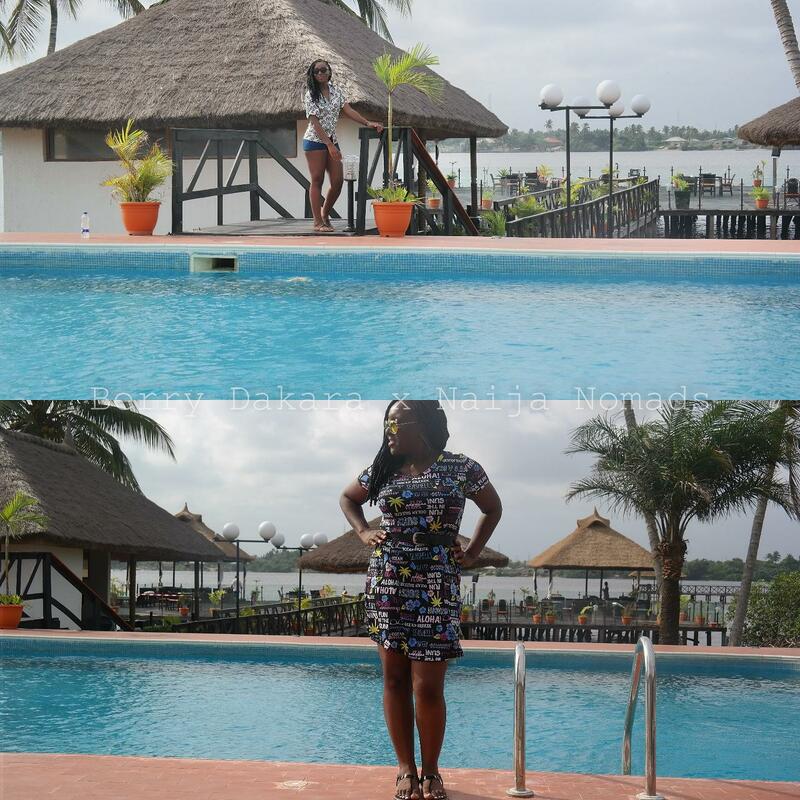 NAIJANOMADS: When we got to resort, we forgot how long we had waited – GORGEOUS PLACE! There was a mini press conference and the CEO, Mr. Adeyeye Ogunwusi, addressed us on the product. Appaz, word around town is that the resort only caters to the “upper echelon” and they are trying to correct that notion by giving amazing discounts to their loyal customers. Sweet! BERRY DAKARA: Girl, I’m about that Explore Card life! 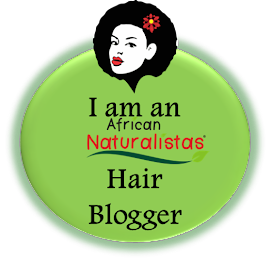 NAIJANOMADS: I was very excited to see that you can get as high as a 50% discount on services at the resort depending on how much you put on the card. 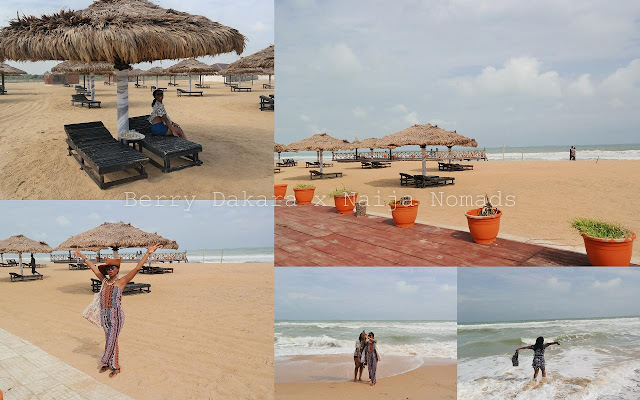 BERRY DAKARA: I was even more excited that the minimum value put on the card can get you a roundtrip boat ride, resort stay (if you please), food/drinks – AND it’s still less than what most hotels on the island charge just for their rooms! NAIJANOMADS: Mr. Adeyeye was so detailed with everything and answered all the questions thrown at him. Berry you must have asked him like 500 questions right?? Hahahahaha. BERRY DAKARA: I’m very inquisitive, innit? Actually people always wonder why I never studied law. I was quite impressed that no matter what question was thrown at the CEO, he gave clear responses. 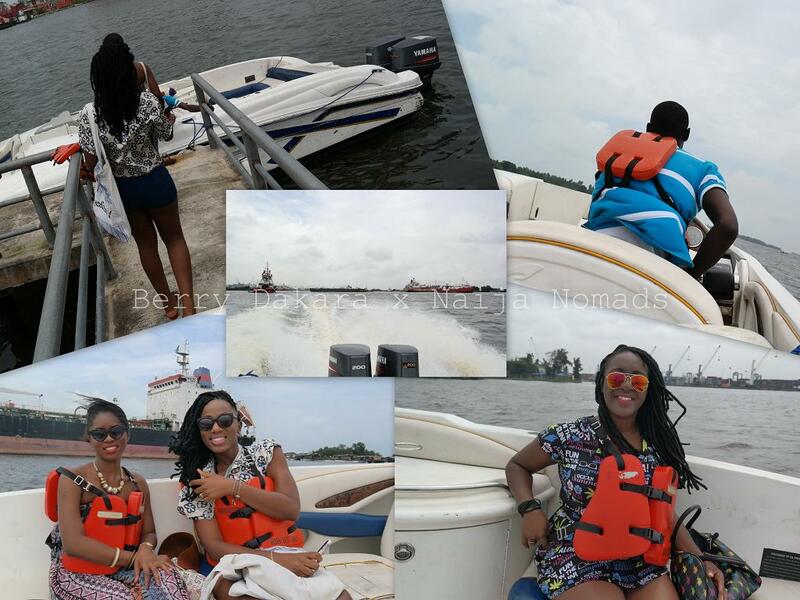 NAIJANOMADS: The boat ride takes an exhilarating 15 minutes from the Lagos Regatta Venue at Queens Drive, Ikoyi. It really didn’t feel like Lagos the moment we stepped out of the boat. You will also be required to book a boat ride to the resort by calling any of the numbers on their website. 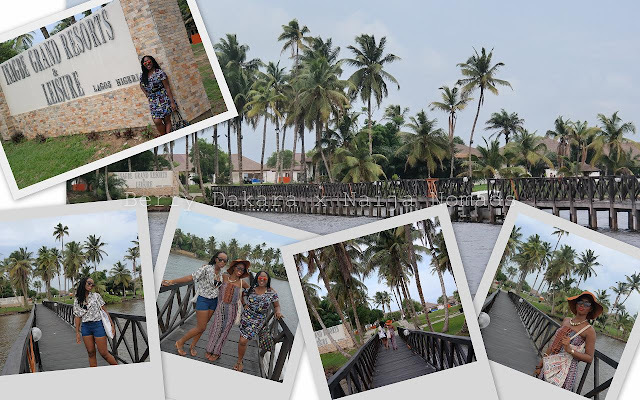 COST: N6,000-N8,000 roundtrip. BERRY DAKARA: Basically I can forgo buying a pair of shoes or new dress and instead whisk myself away from the hustle and bustle of Lagos, which is very much needed regularly. And it did feel like I was outside Lagos. I mean I could very well have lied on Instagram and said I went to the Caribbean for the weekend! Some friends on Whatsapp actually thought I had traveled out again. 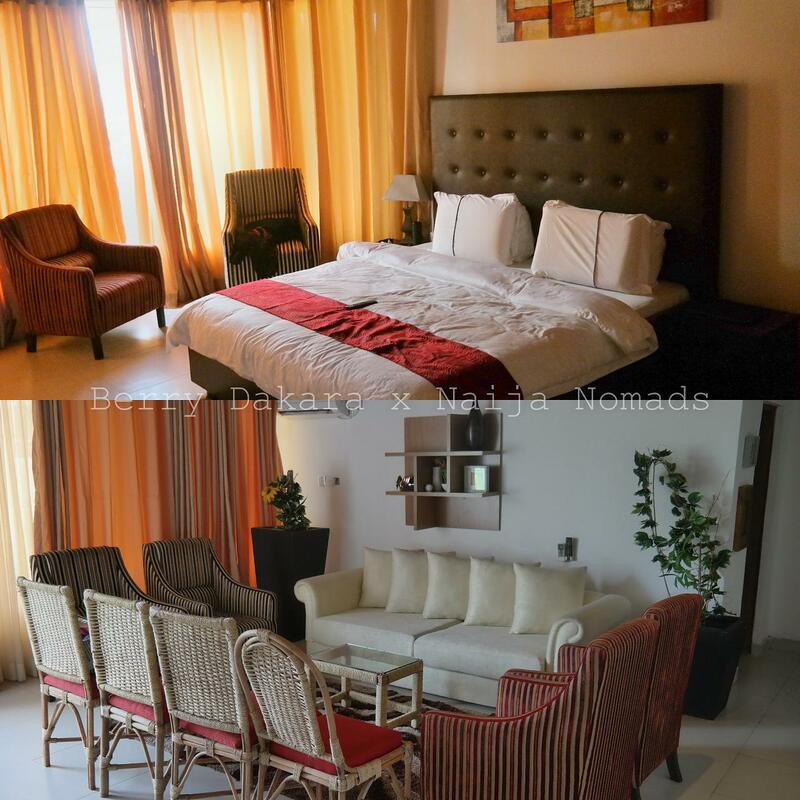 NAIJANOMADS: The resort has fair rates which can be viewed here.The rooms were really cozy, decent and most importantly clean. And guess what? You get a 10%-50% discount off these rates with your EXPLORE CARD. BERRY DAKARA: I appreciate that there’s a bracket for everybody. Looking for extreme luxury, they gotchu. Just want to sleep on a comfortable bed in a nice room, they gotchu too! NAIJANOMADS: We had to get to the beach via quad bikes, riding a horse or taking a walk. I was so eager to get on the horses you would have thought I was an equestrian of some sort. Berry on the other hand is allergic to fur so she got on the quad bike instead. BERRY DAKARA: Okay, maybe I lied about being allergic to fur. Yes, I’m prone to allergies but the overriding issue is my ABJECT FEAR OF ANIMALS! Biko, bring the quad bike!!! In fact, I could have walked. By the way, you forgot about the other animals. I don’t like animals much but the peacocks were BEAUTIFUL to look at. However, if animals aren’t your thing, you can always head to the floating lounge/restaurant on the Lagoon-side and relax with cocktails and a good book. OR take a leisurely swim in the swimming pool. OR wait till night time and party on the pretty lit-up deck to the DJ or Live band. NAIJANOMADS: Unfortunately we didn’t have the opportunity to get a massage but everyone seemed to have good things to say about it. I don’t wanna brag (or maybe I do) but I have had really good massages in my lifetime so I wouldn’t give a verdict based on other peoples experiences. When I get one, I will let you guys know how it felt. BERRY DAKARA: No comment on the massages that we were told too late about. To everyone else that got massages and kept it to themselves, GOD IS WATCHING YOU! 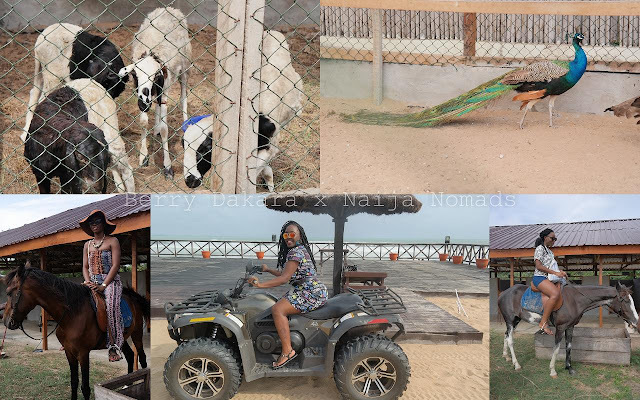 NAIJANOMADS: The adrenaline junkie in me was longing for more activities and I asked if they intend to satisfy people like me with more things to do. Well, they informed us there were plans to bring jet skis and a couple of other water-related activities. Satisfaction guaranteed in the nearest future! BERRY DAKARA: They also have a multipurpose hall and can accommodate parties of up to 1000 people. If they had been up and running early 2013, I would definitely have had my wedding there. *le sigh* There’s always a 576th day vow renewal, right? 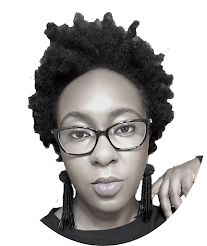 NAIJANOMADS: What’s your take on the food? Sih!! Memories of that kebab lingers on…. They seem to be confident about their seafood, so next time I go there I have to try it! You also get a discount on food with your EXPLORE CARD. You can tell I am shamelessly trying to advertise this card, just go get it already!! BERRY DAKARA: Every single thing on my plate was surprisingly good! I say surprisingly because too many places don’t get the flavours right inside the meat. That wasn’t a problem here. I totally wouldn’t mind taking a day trip there and using my Explore Card for food and drinks. 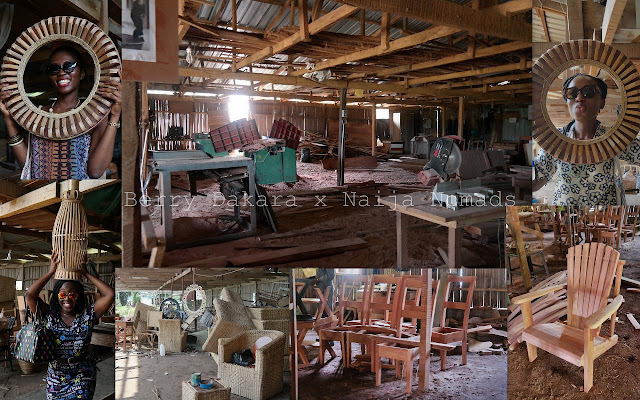 NAIJANOMADS: One thing that stood out for me was the story Mr. Adeyeye told about the Company that came over for their workers retreat for a weekend and got a full refund because the resort had power issues! I mean it’s only right that when you cannot satisfy your customers, they get a refund (even if not full). Nigerian restaurants take note! BERRY DAKARA: I was also impressed by that, and one of the offended parties was actually there to corroborate the story. 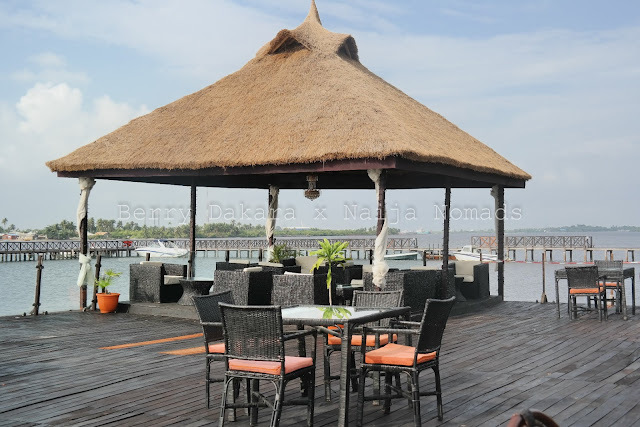 The CEO even said that they go online to check for and respond to not-so-great reviews, in a bid to correct any issues that guests may have had (trust me to Google and check if it’s true – yup, someone had a bad experience with booking and mentioned it on her blog… 2 comments down was a response from Inagbe Grand Resort). I also appreciated the fact that the CEO and GM (Mr. Jide Fadairo) actually took time to have genuine conversations with us. 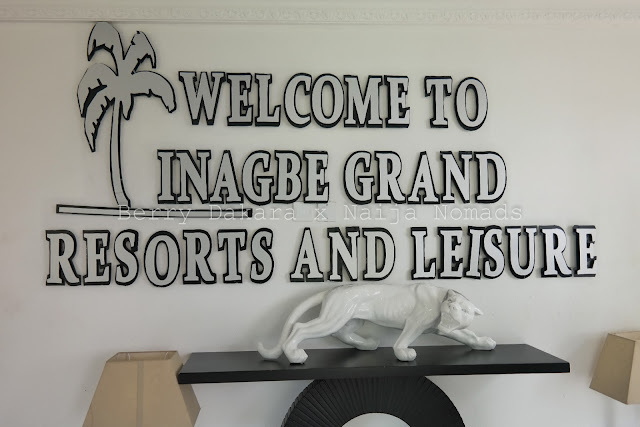 You can tell from the way they speak about Inagbe Resort, that it’s a passion project, they care about tourism and want guests to enjoy their experiences there. BERRY DAKARA: In this day and age, you have to be security conscious. Inagbe Grand Resorts is working with the Nigerian Navy and Police, and there are security patrols not only onshore, but also on the waterways. That’s reassuring. NAIJANOMADS: Berry I think you should take us through how the Explore Card works because I’m not sure I remember anything. All I heard was discounts, discounts and more discounts J.
BERRY DAKARA: Okay, the Explore Card is a points-based system, and those points are used to pay for everything Inagbe-related, from the transportation to accommodation to food and drinks and more. The points are N2.00 each, and you start with a minimum of 25,000 points (=N50,000.00). You can buy points via debit card or bank transfer, and each card is customized with your name on it. There are security measures on it that will prevent someone from using your card without your consent/knowledge. Whenever your points are low, you can always buy more. Of course, the more points you have, the larger the discounts that you get. You can use the points for you and your loved ones, e.g. I can use my card to spoil the hubby and treat him to a relaxing weekend where he CANNOT RUN AWAY for business!!! Or bridesmaids/groomsmen can contribute to someone’s card and have a great hen or bachelor weekend away. 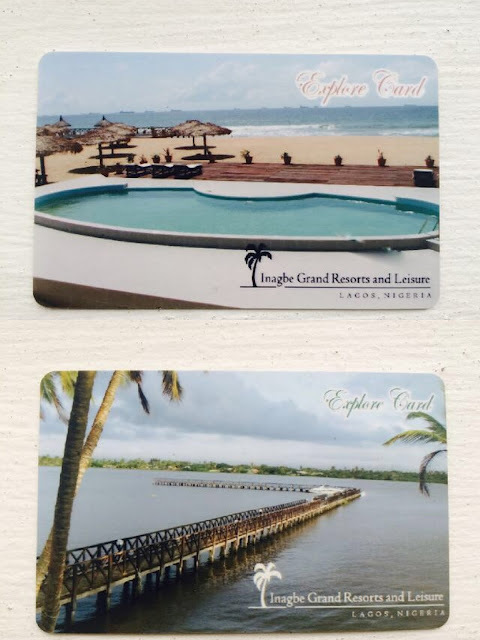 The bottom line is Inagbe Grand Resorts is accessible. You don’t have to spend a boat load of money to have fun – make it a day trip with a group of friends on your EXPLORE CARD! 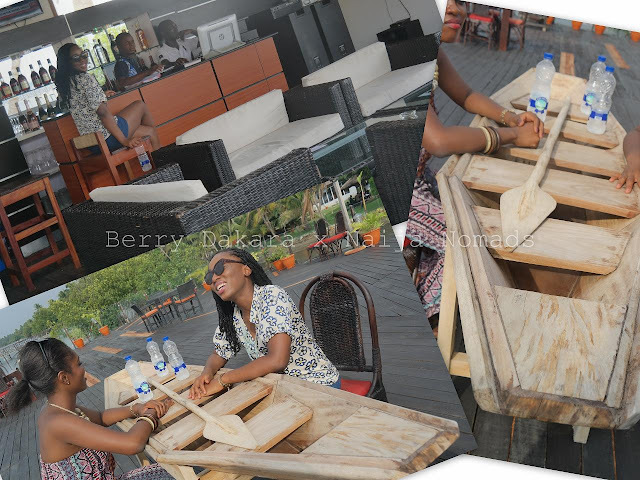 Leave Ikoyi in the morning and engage in fun activities, and head back in the early evening! 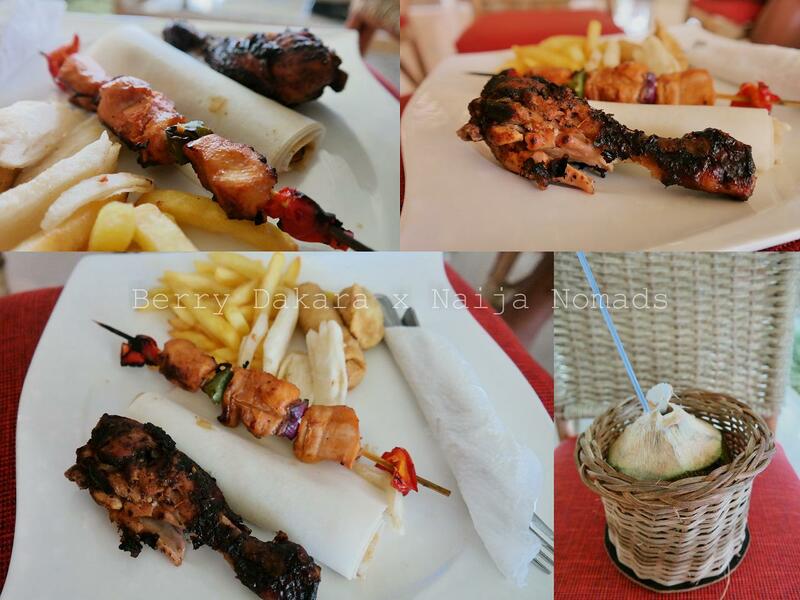 And if you have extra, spend a night or two and get relaxing massages, accompanied with their great food! It’s really up to you and your pocket. It’s not everyday club, everyday restaurant… sometimes get away and relax! To sign up, make reservations, or get your transportation arranged, simply call INAGBE GRAND RESORTS at 08125992519, 07046522658 or 07046538271. You can also email reservations@inagbegrandresorts.com. 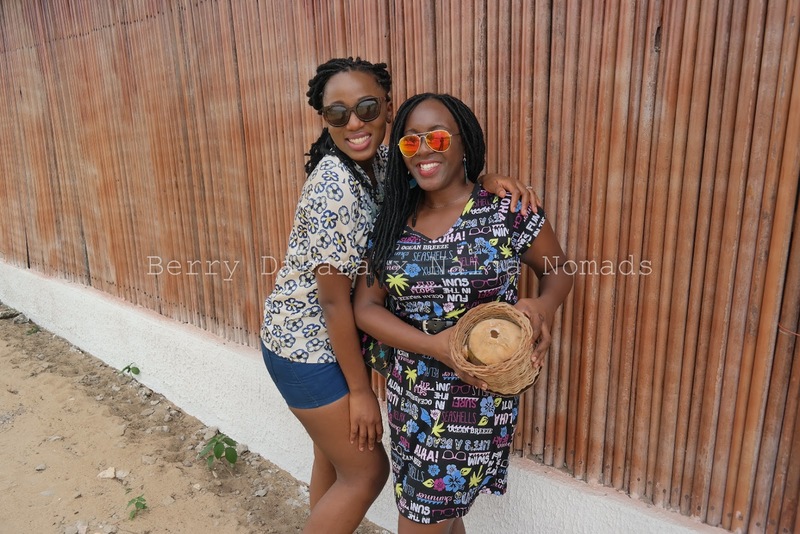 Tell them Berry and Naija Nomads sent you! Looks really wonderful indeed, and loads of fun. Oooooh niceeeee! 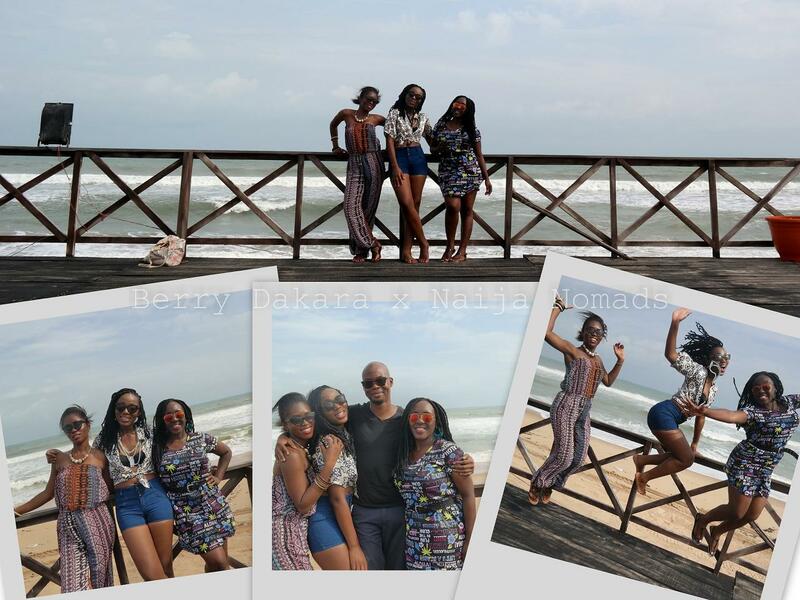 Sure looks like nice getaway ... No need to ask cos it's obvious you had a 'Berry blast'.. I totally love this style of relaying the events made it an interesting read. Wow! Looks impressive! Telling the husband about it right now! Wooww, the place looks so beautiful. You guys surely had loads of fun..
really cool. i should visit this place. Oh this post is exciting! You made me laugh Berry! I clicked on the reservation link on this post but I got an error message...no file specified. Abeg jor, I have beef for them.... My fiancé and I are getting married in october, Inagbe was really top on our list, only to call them 2 months ago and their price aff enter millions ( cos Bobo had called like a year back, not that we expected the price to be the same or something but the margin was just toooooooooooooooo wide we had to wake up from our dream lol to change. We inquired about Epe Hotel and Suites ( amazing place ) but we had to drop it too coz of logistics issue, having to get a bus, book all the rooms and all that, then coz our wedding is going to be on a weekday we factored in traffic too... We are finally settling for a garden in Ikeja which is central enough. Awww really? I think it might be a Nigerian thing cos the same thing happened to us during our wedding planning at a different resort. We went there one Sunday and they quoted 500k. When I emailed the following week (week o) they said 5 million. I don't know what Inagbe's rates are honestly but I think that hospitality providers should stick to set rates when they have set them. YEP YEP! Maybe it's a Nigerian thing but they should learn to either employ competent people or give accurate/correct information. BERRY, I am having a meltdown. I am freaking out like crazy. Planning stuff about my wedding is taking a toll on me even though I have a wedding planner. We want a very small, intimate but nonetheless classy wedding on a budget wedding, but our efforts have been in vain. Having being satisfied with the garden in Ikeja, we found out there where hidden charges ie facility fee of 100k (drums for cooling drinks, chairs, tables tents and all those) then another 30k for something I don't remember ( if we will bring our own decorator boa the bla fee) and another 10. Everything was about 370k it didn't make sense anymore plus I started feeling in my spirit that weather won't favor us, it could still rain in October. What the fudge muffin? My looooong comment got missing. Anyways, your wedding planner should have checked with your venue to see what and what was included in the package. I asked 5 million questions during our planning, and the manager actually got tired of me. And don't get me started on the church procedures. Apparently a lot of churches don't conduct ceremonies outside their buildings. We had to go back and forth for a few months before we finally settled. Ask your pastors if you can do a court wedding, and then have a marriage blessing at the garden. They might be open to that. If not, ask your parents to beg a pastor friend. This looks great, Will definitely try to visit. Would make a good staycation, Initially I always perceived it to be very expensive but I guess its not as bad. no one has mentioned where cars are parked. planning a trip for the parents and another for friends in december but where to SAFELY park cars is a major issue for me. any ideas? I mentioned it in passing. You park at the jetty on Queens Drive in Ikoyi. It's a gated parking lot and I'm assuming the security is there 24/7. Some of the other people parked overnight.